*Kids and parents - mark your calendars for July 21-25 when we will be having our summer kids' camp. Stay tuned for more details! *Teens, preteens, students and parents - we will be recruiting volunteers, so mark your calendars as well!! 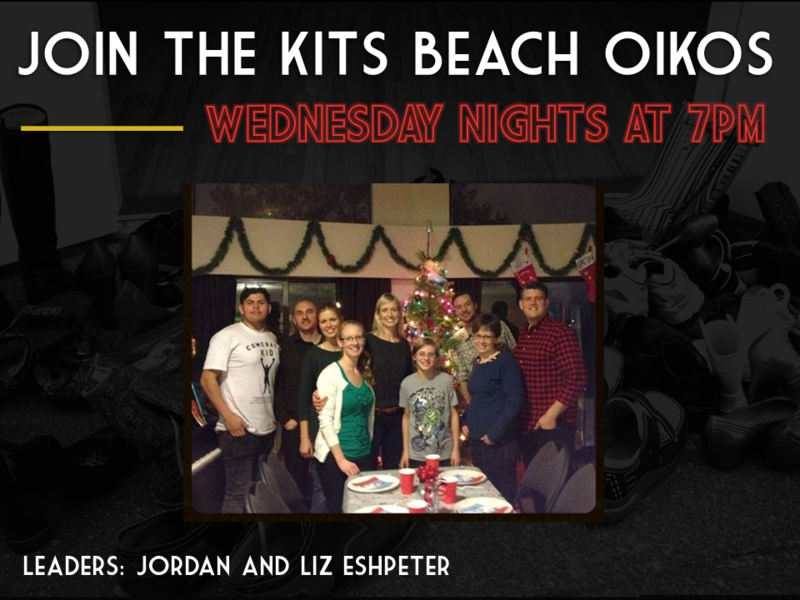 On the first Sunday of every month, we'll be spending a bit of time in our Sunday service with one of our eight Oikos groups, and to kick things off, we're meeting the Kits Beach Oikos this Sunday. This awesome and friendly group of folk meets every Wednesday night, at 7pm. If you’re interested in connecting with them, you can check out their details here, or better yet, introduce yourself to Jordan and Liz Eshpeter on Sunday! All are welcome.